A new report issued by Oxfam Intermón on the occasion of the opening this week of the World Economic Forum 2019 in Davos, Switzerland, says that social mobility has stalled in Spain despite figures showing the country’s economy is growing after years of economic crisis and that one of every six middle-class families in Spain has now fallen below the poverty line. The report, titled Desigualdad 1 – Igualdad de Oportunidades 0 (‘Inequality 1 – Equality of Opportunities 0’), says that after years of social progress, in which parents could expect that successive generations of children would be better off than the previous generation, social mobility has now stagnated and chronic poverty increased in Spain as a result of the multi-year economic crisis that kicked off in 2008. In Spain today, says the report, the child of a parent in Spain’s higher-income brackets is likely to earn 40 percent more across the span of his or her working life than the child of a lower-income wage earner. At the same time, poverty’s toll on the life expectancy of Spaniards means that those enjoying higher income levels can expect to live longer and more fulfilling lives than their poorer counterparts — 11 years longer in Barcelona and seven years longer in Madrid. 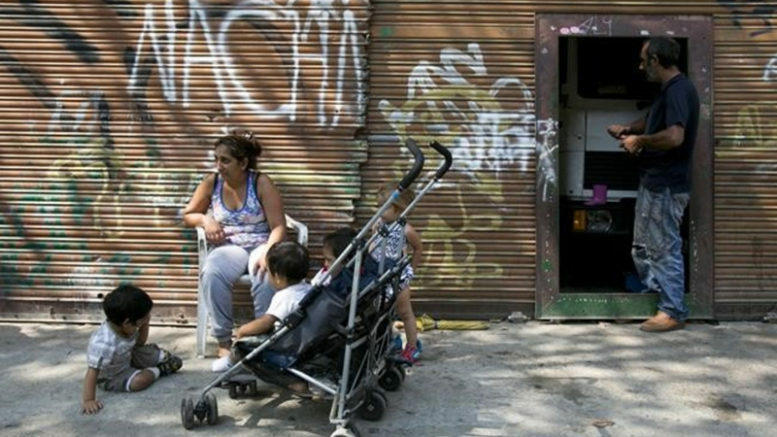 Poverty in Spain in recent years increased at four times the rate it has been alleviated since Spain’s economy has returned to economic growth, says the report, but Spain’s poor are not the only ones suffering from inequality and a lack of opportunity brought on by the crisis. Years of unemployment and austerity cuts have also hit the middle class hard, says Oxfam Intermón, with the income of Spain’s middle class having shrunk 10 percent since 2000 and millions of Spaniards pushed out of the middle class and now living in poverty.